I know that the Byzantine Empire was technically the Eastern Roman Empire, but did they carry over actual Roman traditions with them? Also, did the Holy Roman Empire have anything to do with the original Roman Empire, because I feel like since they were more Germanic, they weren't the same. So, were there any legitimate empires that succeeded the Roman Empire, and if so who? Andrew Wheatcroft's The Enemy at the Gate: Habsburgs, Ottomans, and the Battle for Europe contains the argument that both the Habsburg Empire (in the West) and the Ottoman Empire (in the East) considered themselves to be successors of the Roman Empire by the 17th century. Wheatcroft points out that both empires ascended almost in parallel: Frederick III became the first Habsburg Holy Roman Emperor in 1452, Mehmet II conquered Constantinople in 1453. (They also exited finally in parallel after WW I.) In this author's opinion they were bound to clash once the intermediate Kingdom of Hungary had declined, which was the case e.g. by the late 17th century. As for the Ottoman Empire, its capital was Constantinople, obviously the last bastion of the (Eastern) Roman Empire but with rulers ultimately from the central Asian plains. IHO due to their sustained military power over several centuries and their (somewhat legitimate) claims these two empires had somewhat (relatively) better claims than other pretenders as "successors of the Roman Empire", of which there must obviously have been (perhaps still will be) many in history. Italy was the place where the Roman Empire originated and Rome is located. They still speak a language directly descended from Latin. Rome was the most important city throughout the Middle Ages, and the Pope usually was the one with a monopoly on conferring the imperial title. Also, to become Emperor, it was usually required that one first become King of Italy. 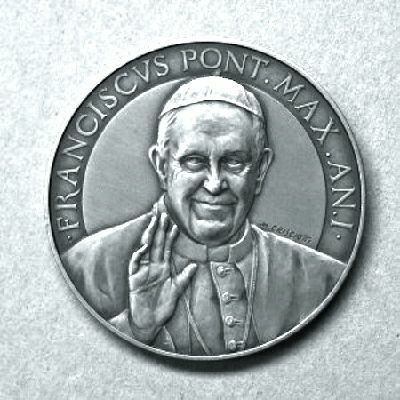 The Pope still holds the ancient Roman title Pontifex Maximus ("Great Priest"). Vatican City in Rome is the only area on Earth where the Latin language remains official, and there is even an automatic teller machine there that offers Latin as a language option. Germany was the core of the Holy Roman Empire, which claimed it was a successor to Rome. German emperors bore the title of Roman Emperor. The later German Empire was instituted in the place where the emperor was still called Kaiser (meaning emperor in German and deriving from Latin Caesar). Nazi Germany claimed to be successors to both the Holy Roman Empire (First Reich) and the German Empire (Second Reich). By the way, Nazi Germany claimed Jews were their state property because allegedly they became personal property of Roman Emperor Titus after the Judean war, and the claim was maintained throughout Middle Ages in the Holy Roman Empire as well. Austria is the dynastic successor of the Holy Roman Empire. 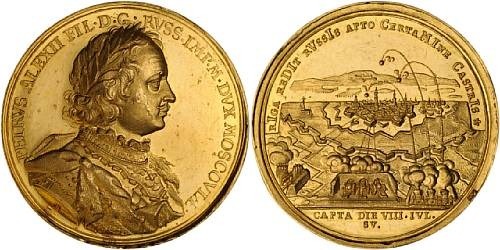 In 1804, Francis II, the last Holy Roman Emperor, had just renamed the Habsburg possessions from the Holy Roman Empire into the Austrian Empire. It is of no coincidence that exactly in 1804 with the dissolution of the Holy Roman Empire, the imperial title became vacant so Napoleon I decided to become one. Incidentally, he proclaimed himself Emperor of France rather than Roman Emperor, but otherwise he followed all the formalities: he became the king of Italy first and had the Pope crown him. It’s worth noting that Napoleon himself was of Italian origin and that France speaks a language derived from Latin. 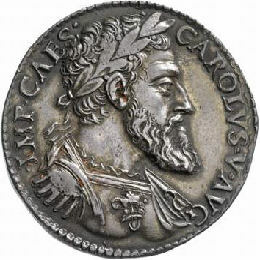 After the Turks conquered Constantinople, the Turkish Sultan proclaimed himself Kaisar i-Rum ("Caesar of Rome" in Turkish), and that title remained in force until the 20th century. The seat of the Ecumenical Patriarch of the Eastern Orthodox Church still remains in Istanbul. It’s also noteworthy that all Turkish sultans trace their lineage from the last Byzantine emperor of the Kantacouzenos dynasty. Up until the 19th century, Byzantine Greeks called themselves Rhōmaîoi (Ῥωμαῖοι), which means Romans in Greek. The last Byzantine emperors were of Greek origin. The Byzantine imperial chair is stored in the Athos monastery. The last successor to the Byzantine imperial dynasty, Andreas Palaiologos, had sold the claims to the Byzantine crown to the Spanish Monarchs, Ferdinand II of Aragon and Isabella I of Castile. The title was inherited by the Spanish kings. Note that Spain still speaks a language descended from Latin. The sister of Andreas Palaiologos, Sofia Palaiologos, married the Grand Prince of Moscow, Ivan III the Great, and brought the imperial Byzantine regalia with her. Since that time, the Moscow monarchs started to call themselves Czars ("Cesar" in the Russian of that time). Ivan III's reign was referred to as "empire" in the inscription in Latin over the gates of Moscow Kremlin. The idea was furthered by hegumen Philotheus of Pskov, who in the 16th century claimed that Moscow was the third Rome (after Rome itself and Constantinople). Peter I the Great officially adopted the title of emperor and instituted the Senate in Russia. Based on this claim Russia strived to conquer Constantinople and the Straits of Bosporus during the First World War. In 1346, Stefan Dušan of Serbia had himself crowned "Emperor and autocrat of Serbs and Romans" by the first Serbian Patriarch, Joanikije II in Skopje, the present-day capital of the Republic of Macedonia. Ivan Alexander of Bulgaria was crowned Roman Emperor in 1331. Romania means "land of the Romans", and like the Italians, the French, and the Spanish, they too speak a language originally descended from Latin. It is not a straight successor of the Western Roman Empire. The West was succeeded by different regional forces and factions of Barbarian (mainly Germanic) origin. The most iconic is Odoacer, a Barbarian ruler who took over Italy with the final collapse of Rome, and established his personal kingdom. Other Germanic kingdoms such as Visigoths and Suebians in Iberia, Lombards and Ostrogoths in Italy, and Franks in Gaul established the firmest of the successor states to the Western Roman Empire in the 300 or so years after it's collapse. Only then, after nearly 400 years of existing Frankish dominance in Gual and it's surrounding, King Charles' Frankish Kingdom reached it's greater extent and was the largest Western Christian state and de facto protector of the papacy. The pope then crowned Charles "holy roman emperor" (/ king of the romans / other stages in the development of than term) and made him a de jure protector. His successing Frankish Kings took on their title of Holy Roman Emperors, in addition to their practical political title. Some time after the defragmentation of the large Frankish Kingdom, in the later 9th and the 10th centuries, the Holy Roman Empire became a meaningful political entity in Europe, and it's emperors were elected in Rome among several princes and kings within the empire's realm. The Holy Roman empire was a Frankish/German state. It was not a Latinized empire, and nearly none of it's internal laws and government was a continuation of Roman institutions. To be honest, the society of the Holy Roman Empire was less "Roman" than the society of the contemporary early kingdoms of Aragon or France. While Romance peoples developed their political and social entities west or south to the Holy Roman Empire, pushing Germanics aside, the Imperial realm itself served as a pure core of German groups and states. It is a difficult question because words have precise meanings, and most people here are a bit ignorant of that. What we call the "Roman Empire" is a translation of "Imperium Romanorum" which mean not "The roman realm" but more likely "the roman dominion" because "Imperium" is a word related to the notion of "commanding". Is "Imperator" the one having an "Imperium", a right to command others. It is in fact a military notion and not a political one on first hand. So if asking who's the true "heir of the roman empire" is like asking "who's the true heir of english dominion? ", it make not really sense since their "heirs" are the one recieving a legacy. Obviously, most of countries of the Mediterranean sea are heirs of the roman legacy, but i don't think that what you're asking. I think you are asking "who can legitimatly claim be the romans state?". Now the roman state was not called "Romanorum Imperium", but was called "Libera res publica Romana" which mean "The free common thing of the romans", even after the period historian call for distinction "Empire", romans still consider themselves... a republic! And you'll be surprised for something else! ALL nation of europe, before the XVIII century, considered themselves... republics! Even the monarchy! Because "Republic" simply mean "the common thing". Now that put the question "where's the state in all this? ", well, the state... doesn't exist. The notion of a "state" is something appearing in the early XVII century. Before that we have crossed areas and juridictions. In Roma you have a Senat (an elder council) but also Curias Forum, etc... Many different institutions, and at the best an overall "constitution" that should order the mess. So now we still need to know: who are the roman? What's that "empire" we did design the limits? It's the Republic, the territories were roman institutions do have authority. What of it nowadays? Well, the Roman republic first change came from the conversion to christianity. You see, unlike nowadays, christianity was considered to be the most important public matter of all, like the pagan religion was for Roma too in fact... So the religion took the greek name (because when the Republic became christian, Constantin was the Imperator and his seat of power was in the East where greek language held the proeminent role) of "Assemblee" (which is a denomination of the Republic through it's people). In Greek, "Republic" was "Politeia", and "Assemblee" was "Ekklesia". The word was latinised at rome into "Ecclesia" who became in modern latin such as Spanish "Iglesia" or French "Eglise". This word in english is noneless than... the Church. So the Roman Republic became the Roman Church... translated in latin it's Ecclesia Romana which mean... the Roman Republic^^. Yet, the Church splitted into many branches... Orthodox, Catholics, Protestant... Yet all still calling themselves... Churches... So in the end... The Roman Empire is... All people who are christian^^. (And i don't say that because i'm christian... i'm an atheist). But well, there is one last problem: as i said, even in the XVI century, kings pretend to be the defenders of the Christian Church, and so of the "Roman Republic". Yet in the XVIII century, first a bit with USA, but then much more with France, people began to claim belonging in national republic, not in the christian. French began to force their priest to make oath to the french republic as state official working for the common good of... the Nation! This was a terrible strife, for priest began to refuse, arguing they are public official of... the christian and not the French Nation. So when the revolution war started, monarchy from Austria alike Britain or Russia saw on this war some sort of crusade: in one side you have secessionist who want to submitt public officers of the christian for their private political ends, on the other hand you had christianity fighting to protect their bretheren from such heresy. But the war were lost by the christian, and nowadays, states and public recognition lies not on the confession (the christian republic) but on nations. So nowaday what's left of the Roman Empire? Nothing! All nations, even the ones still having christianity as state religion, base their soverainty on their nation and not their confession. So there is not any Roman Republic left since there is not any common share of such republic. Hope it answer your question despite my bad language (i'm not english sorry...). The successor to the Roman Empire is the Roman Catholic faith. Christianity began in an obscure corner of the the Roman Empire, eventually made it self a home in Rome, converted the emperor and 'spiritualised' the Empire by which it loosened its attachment to actual physical geography and temporal power and refocused it on the spiritual. The popes official residence remains in Rome and he is the head of the Roman Catholic community worldwide. For some years (a couple centuries?) the official language of Byzantium was Latin; it slowly transitioned to Greek and for a time both were in use. 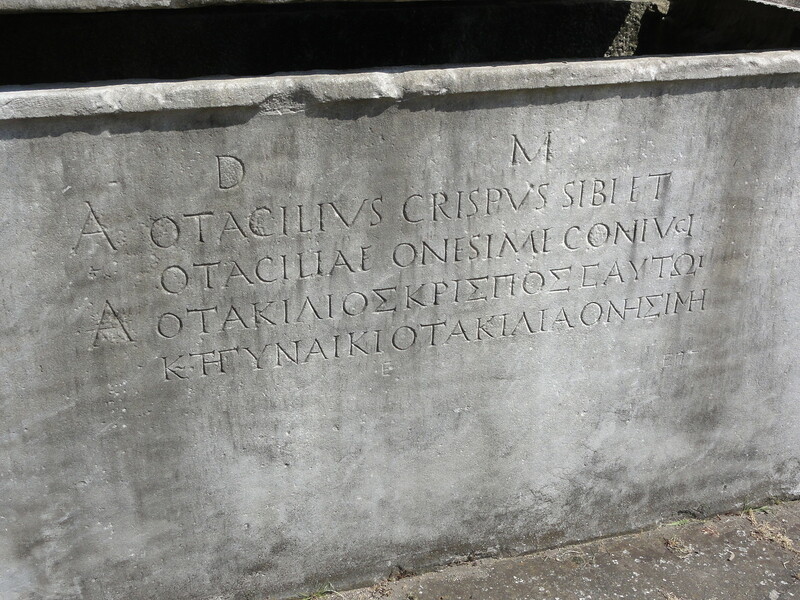 The Turkish Archaeological Museum has a sarcophagus with the inscription in both Greek and Latin. Some of the offices of the empire had Latin titles, and the most popular public attraction was the Hippodrome -- chariot races. They continued Roman construction practices and public works -- the city's water was provided by aqueducts coming in from surrounding hills -- and customs like public baths. The court system was the same, as well, allowing for a handful of minor reforms and additions, up until Justinian's complete reform. Not the answer you're looking for? Browse other questions tagged ancient-rome byzantine-empire holy-roman-empire or ask your own question. How quickly could the Roman legions march? How does it compare to the mobile cavalry? What is the Holy Roman Empire?